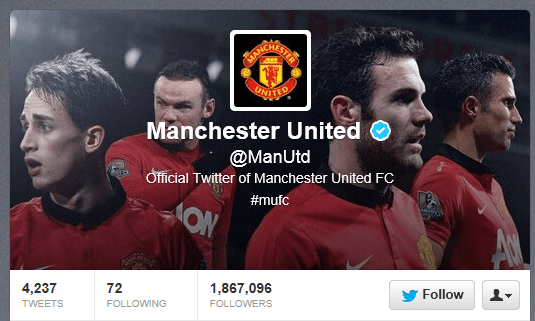 For many, the moment that Juan Mata’s transfer to Manchester United became a believable reality was when the club’s new No.8 logged in to Twitter to alter his profile’s biography. “Official Twitter account of @ManUtd’s player” read @JuanMata8 by Saturday afternoon, an alteration which occurred almost in real time as the player was in the process of agreeing terms at Old Trafford. By the end of the weekend, his profile had been fully optimised to affirm his identity as a fully fledged Old Trafford player. Whilst his new followers – the likes of Tom Cleverley and Alexander Büttner – may not bring the highest levels of entertainment to Juan’s new-look timeline, it is significant that Mata, and those representing him, placed significant importance on maintaining an efficient level of engagement via the social media channel. The importance Mata placed on hastily evolving his Twitter profile says much about the role that footballers and football clubs are increasingly starting to play within the world of social media. It’s an area of football marketing which only seems set to grow and grow. After all, Mata’s profile now contains links to not just the club’s official English account, but also its official Spanish language outlet @ManUtd_ES. United also have official accounts directed at their Malaysian, Indonesian, Japan, and Arabic audiences.